Earlier this year, Ulster Bank announced that Northern Ireland's economy is beginning to show signs of recovery. As the financial tide begins to turn, Gareth Samuel looks at why buying into a successful franchise may be the perfect way to ride high on a newfound wave of economic optimism. 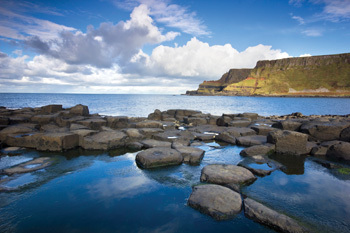 In June, Ulster Bank announced that in Northern Ireland, the bank's Purchasing Manager's Index (PMI), which gives an accurate estimate of the state of the economy, indicated that May had seen business activity edge towards stability. With business activity beginning to increase, now may be the ideal time to invest your future in a successful franchise in Northern Ireland. The service industry recorded its first upward growth in Northern Ireland in almost four years. According to leading economists, this is a sign of things to come. Richard Ramsey, Chief Economist for Ulster Bank, Northern Ireland, says: "Firms within the construction and service industries, which have borne the brunt of the domestic downturn, reported a marked improvement in business conditions in May." By buying into a senior care franchise, such as Home Instead or Cleaning Doctor, you could contribute to the economic recovery and establish a successful business that provides you with a very steady wage. Talking at the FedEx small business conference, US Federal Reserve Chairman Ben Banke, said that entrepreneurship offered "an extremely important option for many people confronting economic challenges in their lives, such as insufficient retirement savings". The financial road to recovery that Northern Ireland has embarked on will require eager entrepreneurs to take the initiative by investing in new business ideas like service industry franchises. As in the US, small businesses and franchises are crucial to the mechanics of any economy. By investing in a service industry franchise you could be a major part of the future of regeneration. As customers begin returning to high streets as increasing signs of recovery become more prevalent, make sure that your business is completely ready to assist returning consumers. By investing in a new franchise, you will be able to begin building your individual business on the back of a well-recognised brand with an established reputation. This will give your business an advantage over competitors who will have to build a company image from scratch. Immediately, you will be able to ride on the wave of economic recovery. As trade begins to pick up again throughout the country, your franchise can be part of a new generation of successful businesses in Northern Ireland. Franchises come with a business model that has a proven track record for success. By buying into a franchise, you will be able to combine your existing skills with new ones necessary to operate your chosen business to deliver a superior service to your customers. Investing in a franchise gives you the independence to manage your own business, with the backing of an established brand that will provide you with support and marketing to put your business ahead of your competition. As Ulster Bank reports small signs of recovery, investing in a franchise now could be your first big step towards establishing a lucrative business.